Refresh your marketing with this new re-usable promo water bottle. Mix it up and stand out from the crowd with this unique promotional gift. These two promo water bottles are unique in design. They are portable and convenient to use. They can be branded with your company logo and come in different colors. Eye catching and environmentally friendly. These promotional gifts are likely to delight your customers and raise awareness wherever they go. Simply unfold the bottle, open the bottle top, fill with water and seal. This promo water bottle can attach onto clothes or belts. Compliments companies that provide sports related equipment or to be used at music festivals. As the promo water bottle is attached to clothes.Your company logo is shown. Users are turned into walking billboards. This improves the presence of your brand. When not it use, simply fold and pack away. Unseal the bottle cap, pull the bottle open, fill with water and re-seal. 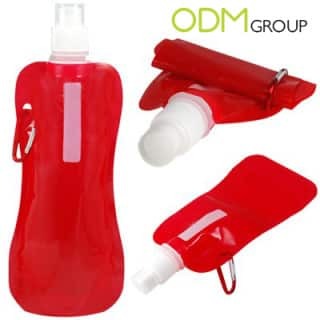 This promo water bottle would be suitable for promotional campaigns from travel companies or airlines. Frequent fliers will love this gift.As after passing through security they are able to fill up their bottles. These travelers will use this promo gift abroad and will raise global awareness of your company. Can be used by environmentally friendly companies as a promo gift. 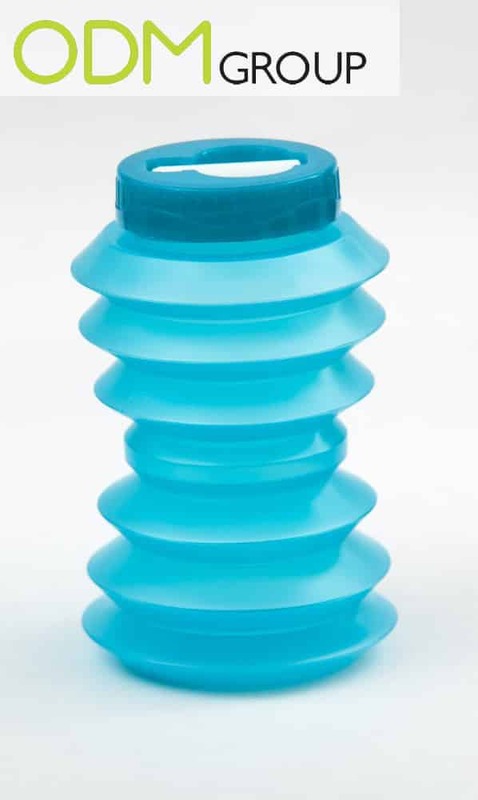 Re-using a water bottle reduces the amount of plastic used.Reduces the carbon footprint of company with this gift. Also recyclable.